I decided to refresh the grips on the bike. 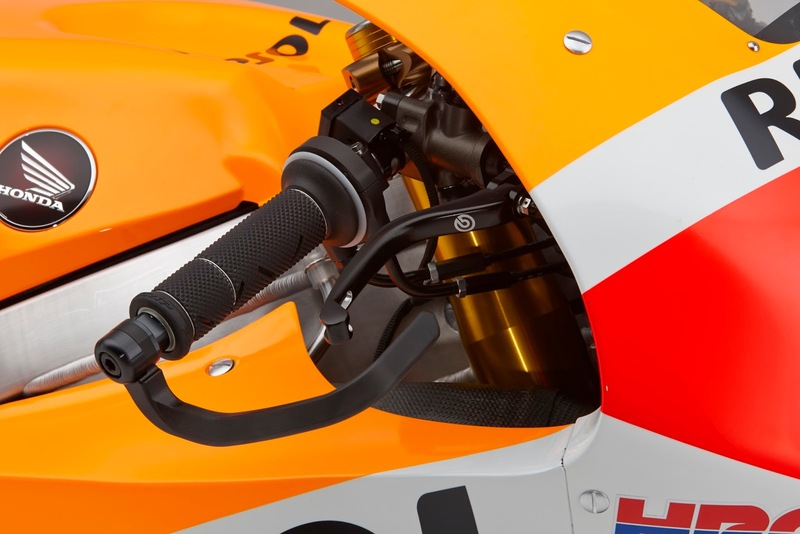 I noticed that the RC213V press photos have the Progrip 717 Grips in all black. To add a bit of colour opted for Black and orange dual compound superbike version. They also do a 717 GP version which is identical but offers a much firmer grip. As always the philospphy is simple. If its good enough for the Repsol Honda Team, its good enough for me.